Hamilton’s WESTDALE UNITED CHURCH obviously concerns itself with its parishioners but also obliges the wider community…not to proselytize but to educate and enlighten. Its ‘Distinguished Visiting Speaker’ program attracts the most creative minds; even some that are not so-called mainstream. 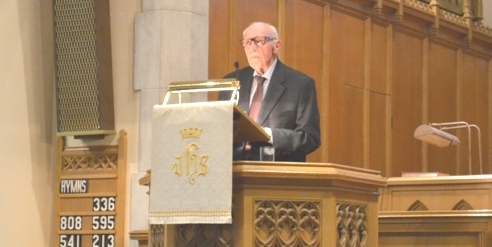 Last night’s guest was Rabbi Emeritus, Bernard Baskin who iterated for the five hundred audience, a thought-provoking yet factual elucidation of where; who and what Jesus stands for or really was to both his original people (us Jews); his early followers & apostles; and today’s one billion plus religionists. This scribe is anything but scientific. 60 years ago I had to study a theory by Professor Alan Guth of MIT about parallel Universes; quantum leaping, and his ‘false vacuum’ concept. Couldn’t grasp it and generally hated everything about theoretical physics! So, a play that requires imagining such a scenario is not my first-choice subject. 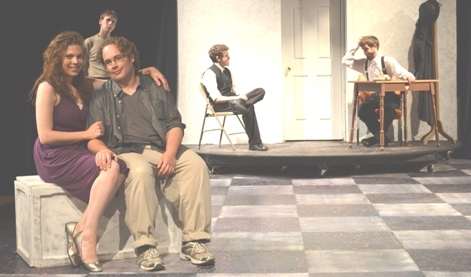 Hamiltonian John Mighton’s play –“POSSIBLE WORLDS” is a challenge to produce, a burden for the actors, and an effort for its audience.